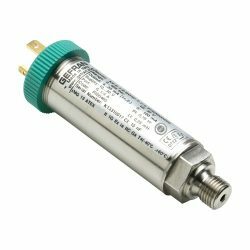 KX pressure transmitters have proven thick film on stainless steel technology, with totally welded metal structure without internal seals, in order to be suitable with any kind of fluid. Also the housing is stainless steel made, with IP65 to IP67 degree of environment protection. This transmitter is suitable for all those applications which require robustness, safety as well as high accuracy. The KX series can be used in applications characterized by the presence of explosive atmosphere. For this reason the probes are designed and manufactured according to the ATEX 2014/34/EU Directive. The KX is also available as an intrinsically safe version. Please select the options you require for the KX ATEX Non-Sparking (Ex nA) SIL2 Approved Pressure Sensor in your application and request a quote. Send us your enquiry for KX ATEX Non-Sparking (Ex nA) SIL2 Approved Pressure Sensor to get assistance with this product type.